James 1:27, Pure religion and undefiled before God and the Father is this, To visit the fatherless and widows in their affliction, and to keep himself unspotted from the world. 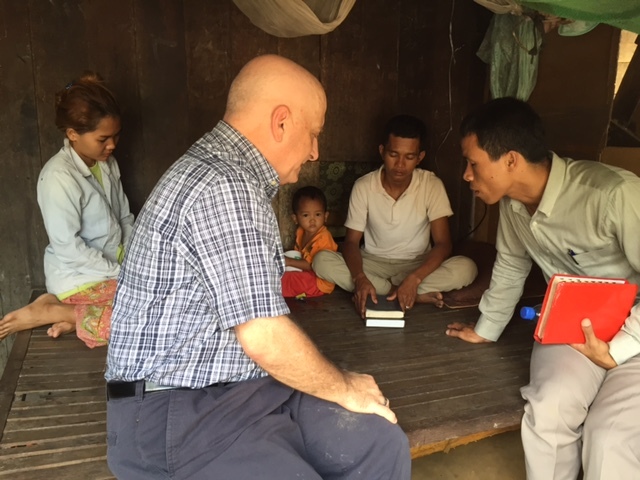 Just a casual study of both the Old and New Testament will bear witness to the fact that God, while he loves all people, seems to have a special place in his heart for the poor, the needy, orphans, widows, and other outcasts of society. Our Lord’s anointing and his ministry, while definitely not neglecting anyone, seemed to major on the poor, the needy, and what we would often refer to as outcasts. In other words, Jesus was empowered for a purpose, and so are we! Let’s go back and read those words one more time. Let them sink deep down into your soul! Are we simply spiritual posers? We sit in our church services three times a week. We attend Pastors’ Conferences. We attend Youth Conferences. Don’t forget our Revival Services, Summer and Winter Youth Camp, Couples’ and Family Retreats, and of course, there’s our Soul-winning and Missions Conferences. Many of us attended Christian schools and Bible Colleges. That’s a lot of spiritual body building. And for what? What are we doing with all of this “spiritual muscle”? Nearly every day here in Southeast Asia we are confronted with poverty and pain. We in the West have been blessed beyond all measure. God has strengthened us. He has equipped us “for such a time as this.” What are we going to do about it? Deuteronomy 15:11, For the poor shall never cease out of the land: therefore I command thee, saying, Thou shalt open thine hand wide unto thy brother, to thy poor, and to thy needy, in thy land. Proverbs 19:17, He that hath pity upon the poor lendeth unto the LORD; and that which he hath given will he pay him again.